Q and A Photo 055 – Shock! Horror! Image Manipulation! Tim Jarvis recreating Shackleton’s Journey, on which famous war and expedition photographer, Frank Hurley captured some of the world’s most revered photographs of the tragedy. Frank Hurley’s famously dark room ‘photoshopped’ photograph of no-man’s land in WWI. 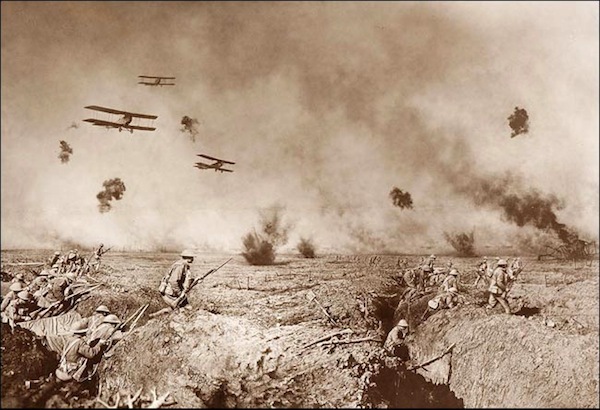 A shot of the planes was combined with the trenches and men, then the bomb blasts were added. Roger Fenton who’s image is pictured below, was accused of manipulation because his assistant added canon balls the hard way, running around and placing them to make the photo more emotive. The photo is emotively titled “The Valley of the Shadow of Death”.